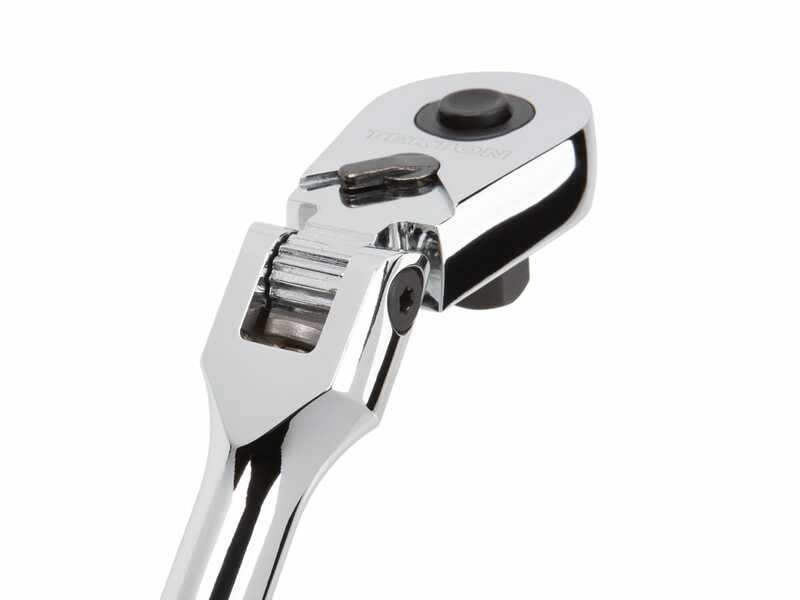 This unique ratchet is made to access especially hard-to-reach fasteners. 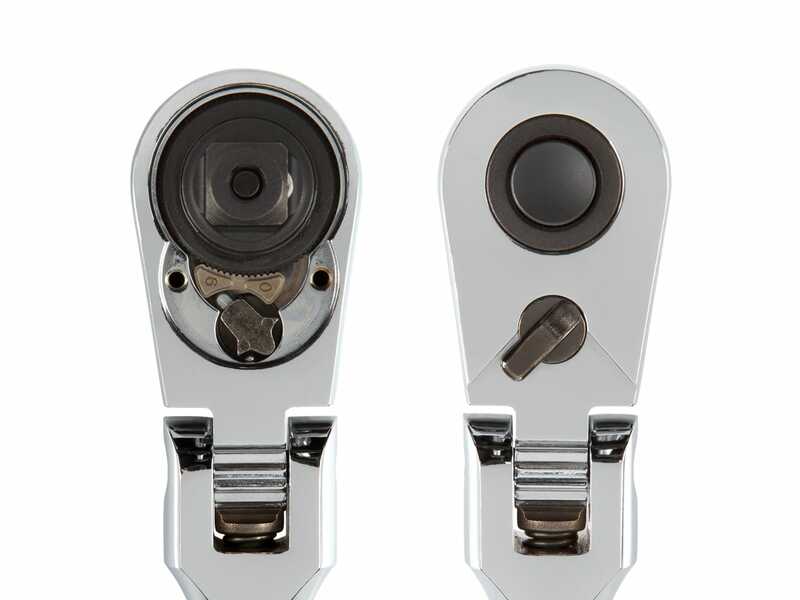 The agile flex head lets you choose the best angle to avoid obstructions. 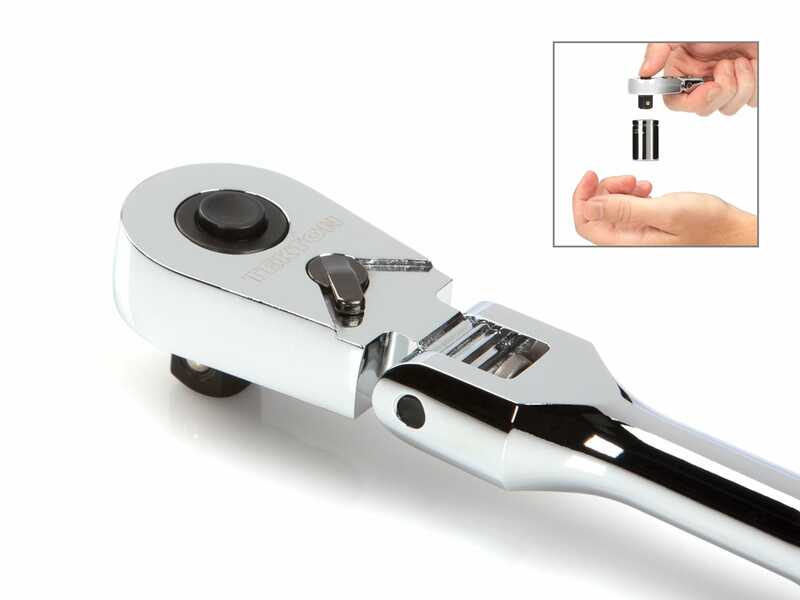 Bent to 20°, the extra long handle extends your reach into narrow spaces and keeps your hand up and out of the way. 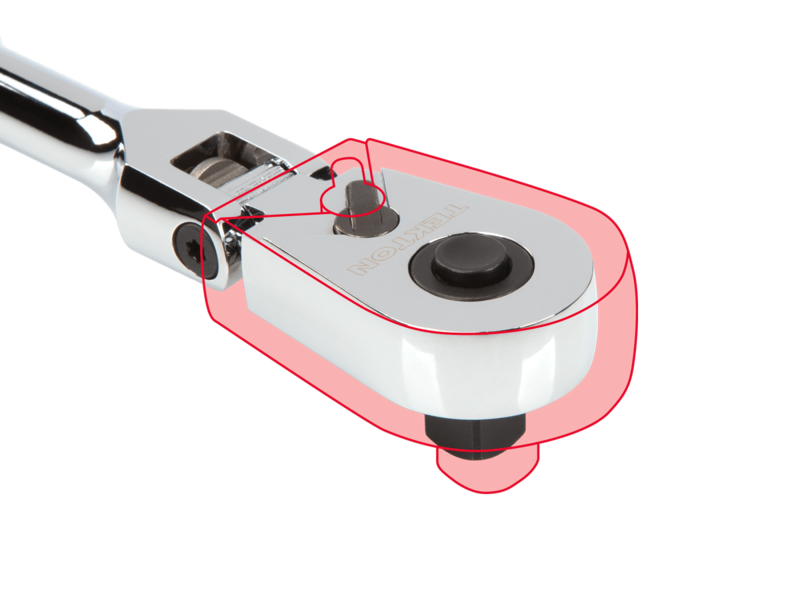 The combination of these features reduces frustration and saves you time, allowing you to quickly work around adjacent parts and assemblies without the hassle of removing and reinstalling them. The flex head sweeps through 180 degrees, snapping to nine different detent angles to reach around obstructions. 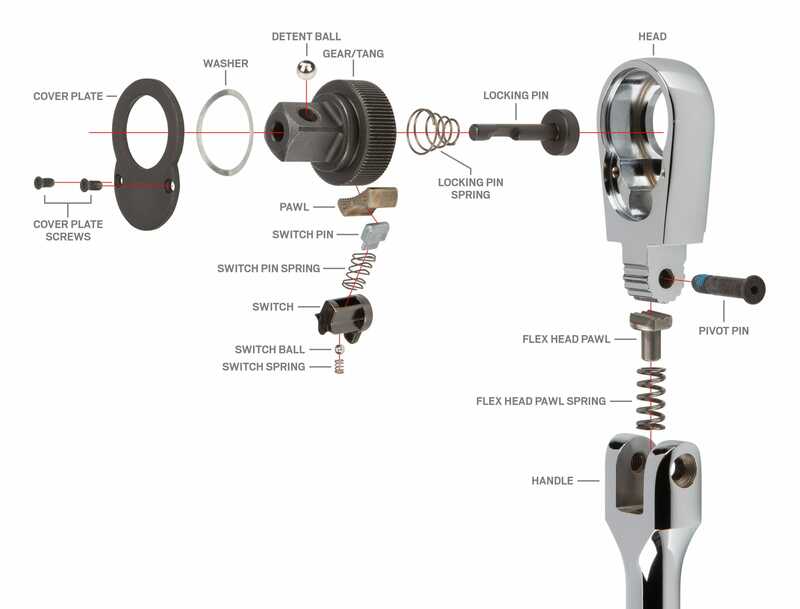 A wide, spring-actuated pawl engages deeply with well-defined teeth to hold the head in position while connecting with fasteners and operating the ratchet. In most situations, access to tight spaces isn't limited by the thickness of the head because there's still the length of the socket or sometimes an extension to account for. Rather, it's usually a head that's too wide or too long that gets in the way. Unlike conventional "low profile" designs that focus on controlling only the thickness of the head, we reduced the size in every dimension: height, width, and length. And most importantly, we did it without compromising strength. D. Head & Tang Thickness 1.009 in. E. Head Thickness 0.497 in. F. Working Length 12.3 in. G. Head Length 1.309 in. H. Handle Length 11.006 in.